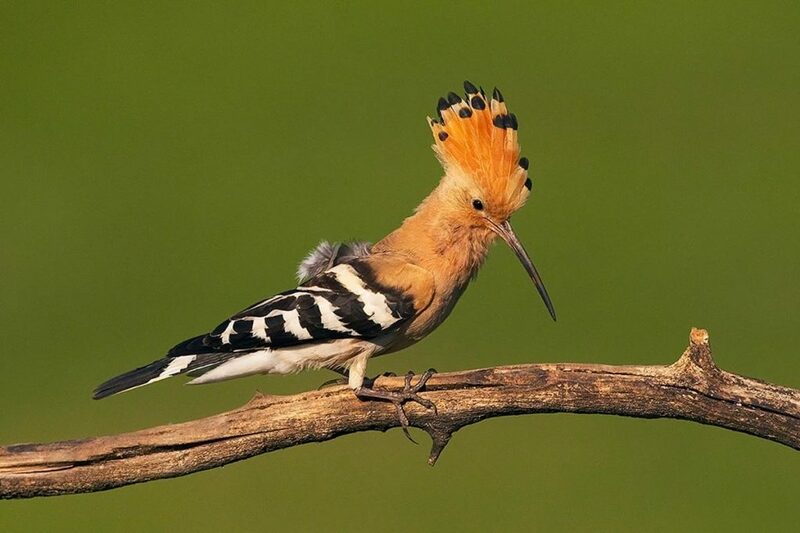 The African Hoopoe differs from the Eurasian Hoopoe by the colouration of the males, females are similar in appearance. The male African Hoopoe has richer cinnamon colouration on its upperparts, lacks the subterminal white band on the crest and has all black primaries. Habits and vocalisations in both species are the same. Find out more!